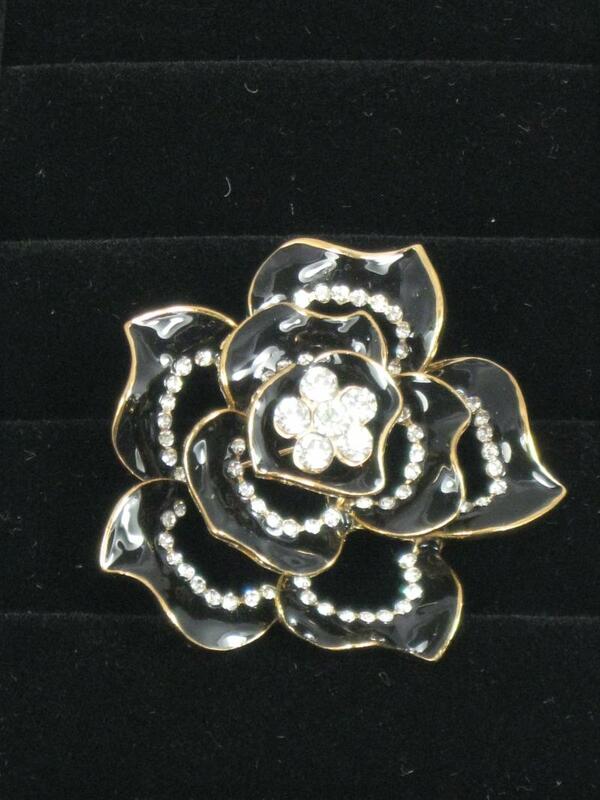 A very pretty enamel brooch in the shape of a flower. 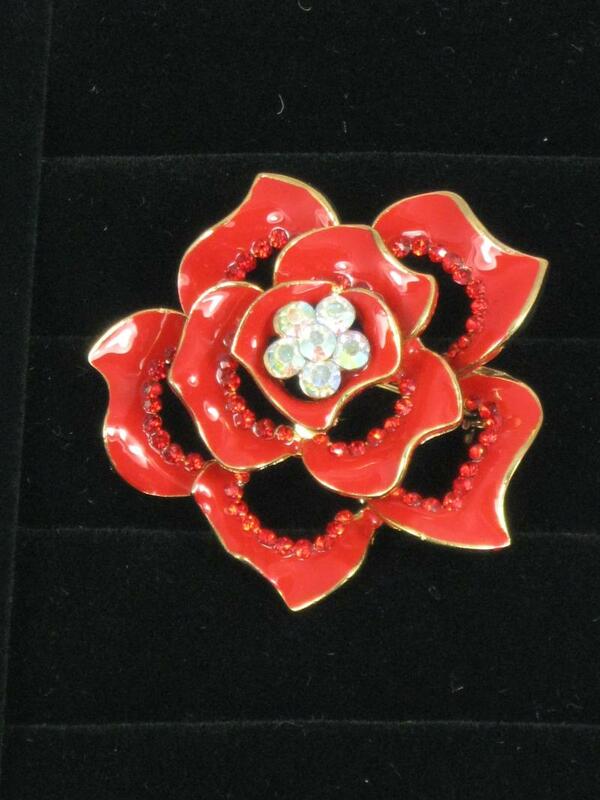 The petals are laced with diamantes and are on three levels making the flower 3D. The outside edging of the petals and the brooch clasp are goldtone. There are 6 larger diamantes in the flower centre. 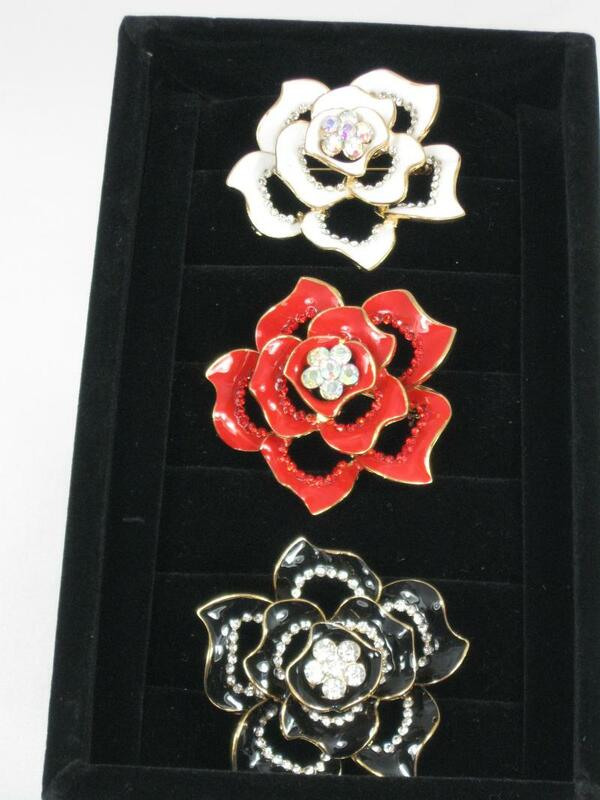 The flower is approx 5.5 cms wide and you can choose from Bright Red, Creamy White or Black. If gift wrapping is required, please request it at the checkout.